KRABEY ISLAND, Cambodia – March 13, 2019 – Six Senses Krabey Island has flung open the doors of its 40 private pool villas to welcome its first guests as they step off the speedboat to this gem of an island hideaway with dense tropical jungle, and rocky coastline surrounded by azure waters. 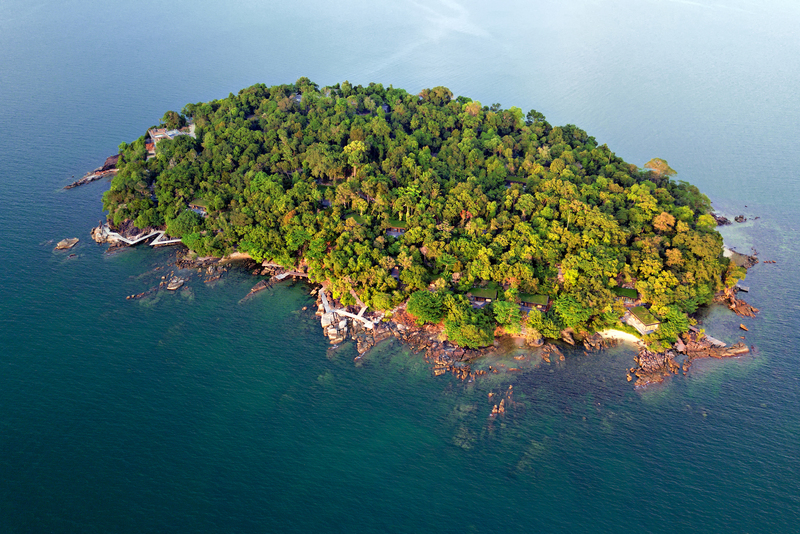 The landscaped 30-acre (12-hectare) private island is located 3 miles (5 kilometers) off Ream National Park in the Gulf of Thailand in southern Cambodia. From Sihanouk International Airport, it is a 10-minute drive to the resort’s mainland reception for the short 15-minute crossing to Krabey Island. Remote enough yet not cut off from a country offering abundant culture and history. With an at-one-with-nature environment such as this, huge care has been taken not to spoil it. The villas are sumptuous, sustainable and thoughtfully-designed, with green living roofs and maximum use of natural daylight. 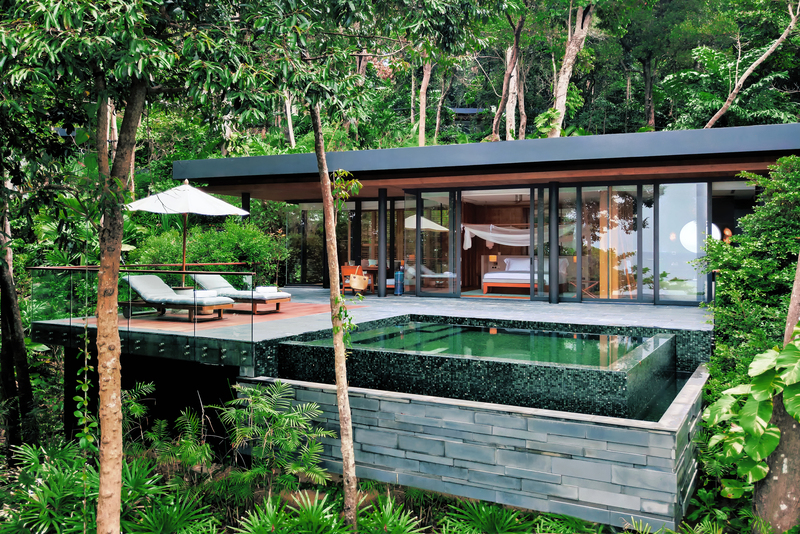 Each has a sundeck for lounging and alfresco dining with infinity-edged plunge pools and rain showers. And because all that relaxation is exhausting, each bedroom offers the groundbreaking Sleep With Six Senses standard for a good night’s sleep. The resort includes two unique restaurants with menus focused on quality local produce and seasonality, much of it grown at the resort’s own 40,000 square feet (3,700 square meters) organic farm and herb garden. At the resort’s signature restaurant Tree, dishes offer a modern twist on traditional Khmer cuisine with a creative interpretation of Southeast Asian flavors while AHA serves an eclectic menu of light yet satisfying international favorites for lunch and dinner. There is also the Sunset Bar, furnished with comfy sofas, lazy hammocks and a generous side order of sun dipping over the Gulf of Thailand. An ice cream parlor serves up more than 15 flavors daily on a complimentary basis for guests. It’s hard not to be lured by the expansive Six Senses Spa which is inspired by the sacred Khmer Kbal Spean River, offering a wide range of holistic rejuvenation and beauty treatments. For those who want to go deeper into their health, the Six Senses Integrated Wellness screening can help to create a personalized program to boost metabolism, energy levels and brain power. The spa also incorporates a comprehensive gym, rooftop yoga pavilion, indoor aerial yoga studio, Crystal Water Room, Meditation Cave and the Alchemy Bar, for blending natural skin care products and essential oils using pure local ingredients. Sleep restored and chakras rebalanced, there are activities for all ages and energy levels including water sports, fishing, snorkeling, speedboat excursions to neighboring islands, an organic farm visit with cooking classes, night sky observatory, horizon lap pool, jungle fitness circuit and the open-air Cinema Paradiso. “The Nest” kids’ club welcomes children between 4 and 12 years of age and incorporates the Grow With Six Senses approach for reconnecting young guests with nature through play. Sustainability initiatives include the resort’s own water bottling plant with reusable glass bottles, Earth Lab, and the support of school programs in nearby villages as well as the introduction of sustainable practices within local communities. Guests will enjoy a 20 percent savings and complimentary daily half board with the resort’s special opening offer for stays from March 1 to April 15, 2019. The offer also includes a complimentary wellness screening at the Six Senses Spa with a minimum 3-night stay and daily wellness scheduled activities. The resort is now accepting online bookings via: www.sixsenses.com. For reservations, please contact +855 69 944 888 or email: reservations-krabey@sixsenses.com. Term & Conditions apply. 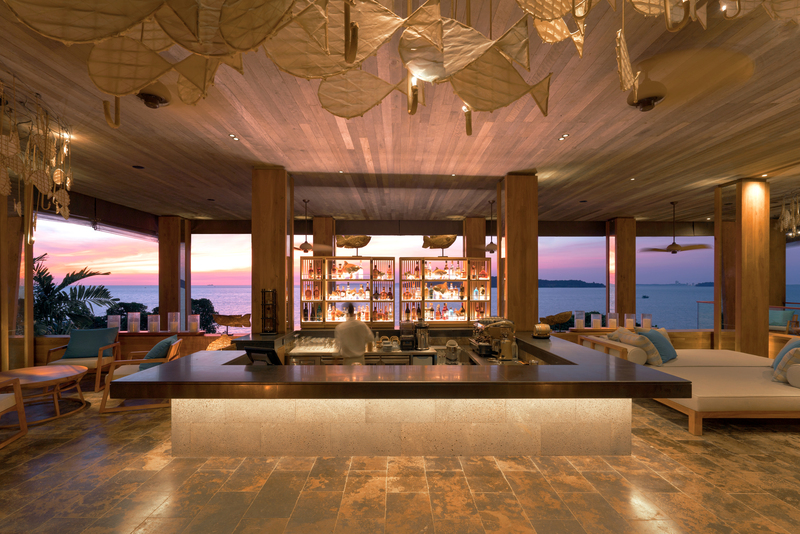 Six Senses Krabey Island blends into the lush canopy of trees and tropical landscape. The 12-hectare private resort features 40 free-standing pool villas, an extensive Six Senses Spa, a sunset bar, two unique restaurants, an ice cream parlor, horizon lap pool, outdoor fitness circuit, oceanfront boardwalk, beachfront sundeck, open-air cinema and sky observatory. The island is a 15-minute cruise from the resort's mainland jetty and provides a tranquil setting in which to relax and reconnect. Experiences range from water activities, island hopping, boat trips and personal wellness programs and treatments.